This study presents the applicability of an ensemble of artificial neural networks (ANNs) and learning paradigms for weather forecasting in southern Saskatchewan, Canada. The proposed ensemble method for weather forecasting has advantages over other techniques like linear combination. Generally, the output of an ensemble is a weighted sum, which are weight-fixed, with the weights being determined from the training or validation data. In the proposed approach, weights are determined dynamically from the respective certainties of the network outputs. The more certain a network seems to be of its decision, the higher the weight. 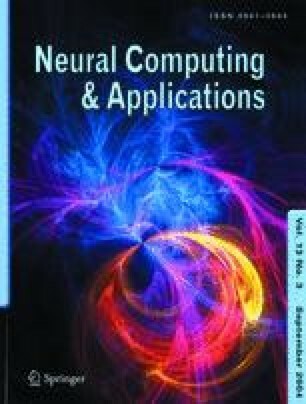 The proposed ensemble model performance is contrasted with multi-layered perceptron network (MLPN), Elman recurrent neural network (ERNN), radial basis function network (RBFN), Hopfield model (HFM) predictive models and regression techniques. The data of temperature, wind speed and relative humidity are used to train and test the different models. With each model, 24-h-ahead forecasts are made for the winter, spring, summer and fall seasons. Moreover, the performance and reliability of the seven models are then evaluated by a number of statistical measures. Among the direct approaches employed, empirical results indicate that HFM is relatively less accurate and RBFN is relatively more reliable for the weather forecasting problem. In comparison, the ensemble of neural networks produced the most accurate forecasts. The authors would like to thank the staff of Environment Canada for the provision of the weather information as needed for this study. The authors are grateful for the comments by the anonymous reviewers, which helped to improve the presentation of this paper.